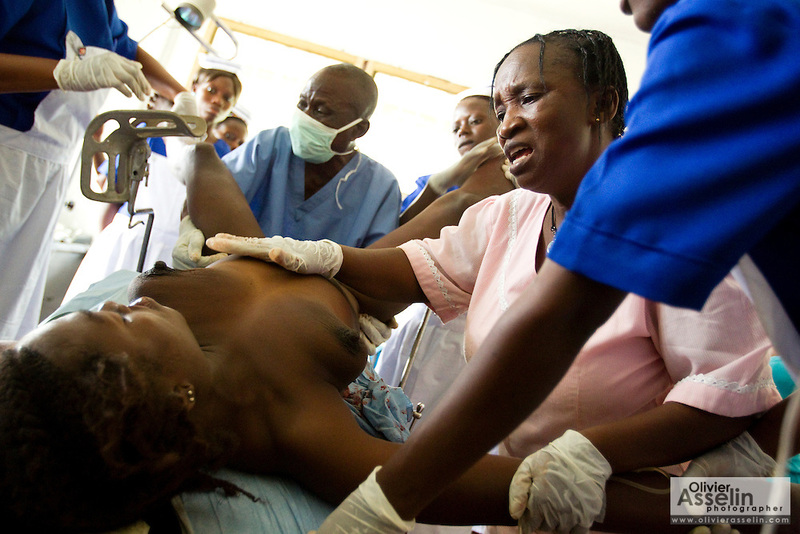 Seybatu Koroma, 32, lies on the operation table while medical staff proceed to remove the placenta from her womb at the UBC hospital in Mattru Jong, Sierra Leone, on Tuesday April 20, 2010. Seybatu suffered from a retained placenta after losing her child while giving birth in her village, 15 miles away. This was her eighth delivery - she has three living children..